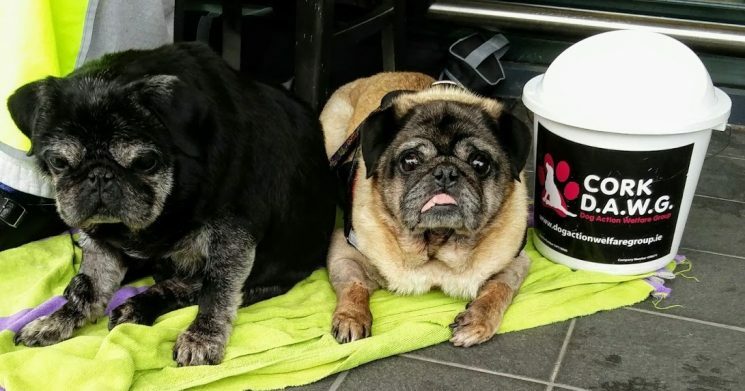 Ted and Jack the pug brothers were surrendered to us recently . They have had some tough times and spent too long living in a shed. Their long term fosterer tells us. 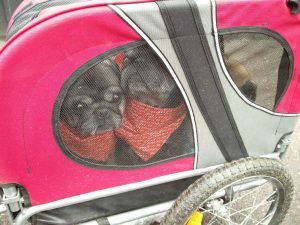 ‘When I got them they did not know how to eat out of a bowl or how to be on a leash. They didn’t know how to be on the couch or what a dog treat was. Both were not housebroken. All of this we have been working on’. Jack the black boy is completely blind and Ted is almost blind. 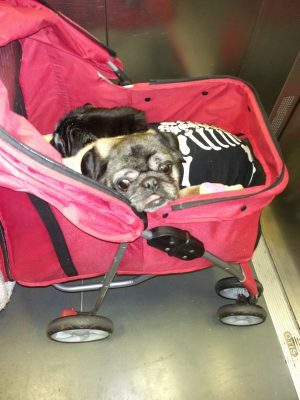 Both are severly arthritic and when they came to us they needed many teeth out due to horrific dental issues. Both boys attend many of our fundraisers and arrive in style in their own buggy. They are adored and are living life very comfortable. They do need regular trips to the vet and your sponsorship is helping them live out their days in comfort.